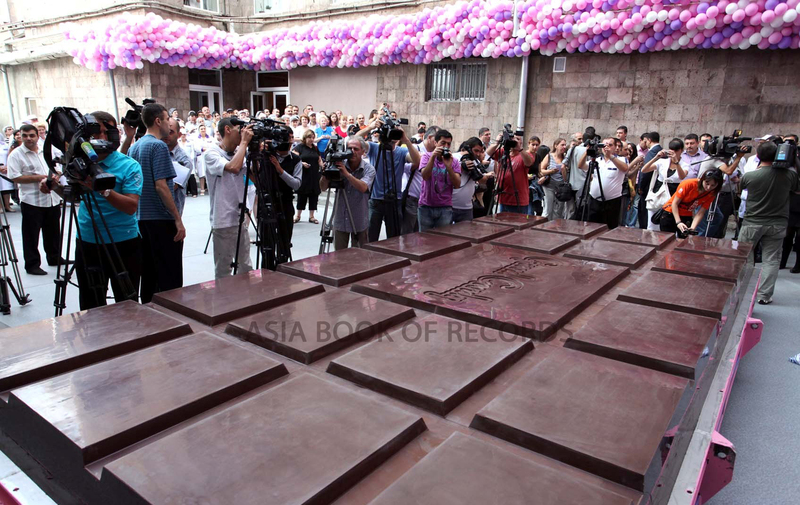 ‘Grand Candy’ confectionery factory has created a chocolate bar weighing 4,410 kg (9,722.39 lb), on September 12, 2010 at the ‘Grand Candy’ confectionery factory, in Armenia, to celebrate the 10th anniversary of the company. 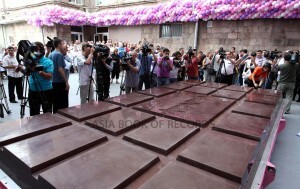 This chocolate bar was 5.6 meter long, 2.75 meter wide and 25 cm tall. Comments for LARGEST CHOCOLATE BAR are now closed.